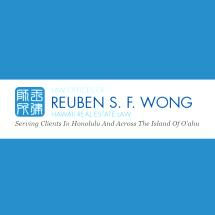 At the Law Offices of Reuben S. F. Wong, we have a reputation for providing outstanding legal services for clients in Honolulu, Hawaii, and across the Island of O'ahu. Our law firm handles transactional and planning matters in real estate law, estate planning, administrative law, energy law and business formation. We offer personalized legal services at affordable cost. If you need a lawyer to create practical, business-oriented solutions that are designed to protect your investments and achieve your goals, we are the law firm to choose. As philanthropist Harry Weinberg's personal attorney for many years, founding attorney Reuben Wong helped Mr. Weinberg establish The Harry and Jeanette Weinberg Foundation, Inc., which has since donated hundreds of millions of dollars in the state of Hawaii. Due to Mr. Wong's extensive experience in wealth preservation, estate planning and business law, he is one of Hawaii's leading attorneys. Our law firm offers free initial consultations, as well as evening and weekend visits by appointment. Mandarin, Chinese and Cantonese language services are also available. Whatever your legal needs may be, you can trust the Law Offices of Reuben S. F. Wong to help you achieve your goals.